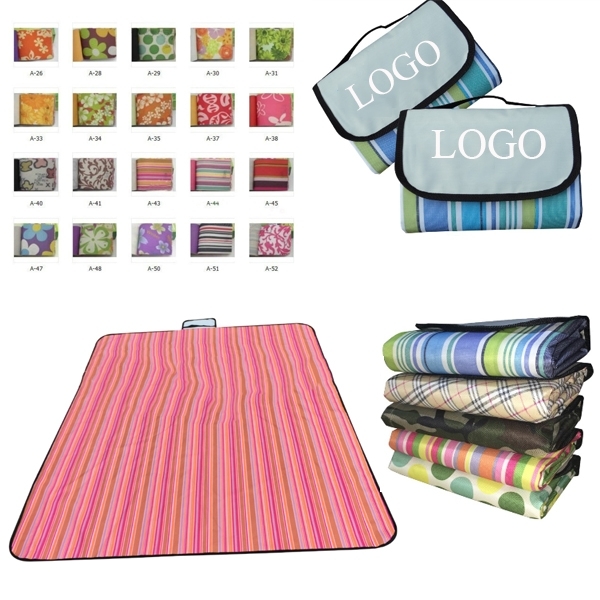 Picnic Mat, it is made by 600D oxford fabric, damp proof. It has variety of styles, easy to carry. Include shipping and 1 color imprint.